Ultra-precise automatic liners that are creamy, anti-feathering & waterproof. Paraben Free. Draw the perfect lip outline with our richly textured, super-smooth, lip defining formula. Helps keep lipstick in place and stops color from feathering. Also add to your order our Deluxe Sharpener. Have fabulous, forever lips with our long-wearing, waterproof, highly pigmented Ultimate Lip liner! These soft, creamy pencils glide on effortlessly for intense, true color that won't feather or bleed. Luminous Lips, brighten up! 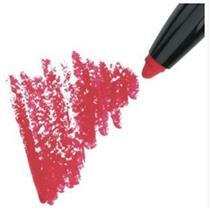 This easy to apply lip coating glazes over any color, giving your lips a beautiful shine. You can also wear alone for a more natural look. 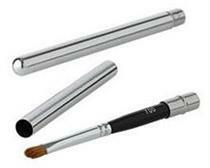 This popular "perfect for application" lip brush is for on-the-go lip styling. Paint on a precise lip line with our lip brush. Angled for superior application, the synthetic bristles provide excellent color coverage, while its glossy, lacquered handle assures durability. Great for both gloss and lipstick.